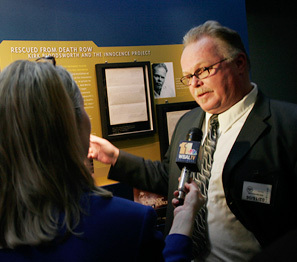 The Exhibition Program at the National Library of Medicine strives to promote greater understanding and awareness of how the past informs the present and can shape the future. By creating exhibitions about the social and cultural history of science and medicine, we encourage visitors of all ages to learn more about themselves and their communities. 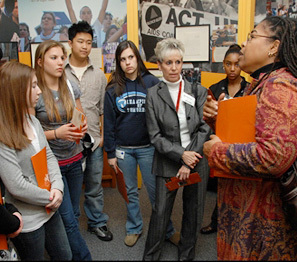 We seek to stimulate people’s enthusiasm for history and to nurture young professionals in history, the health professions, education, and museum studies. 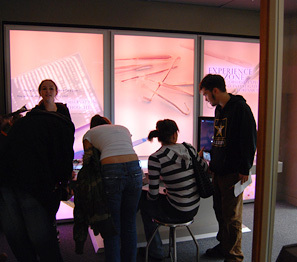 The Exhibition Program creates lively and informative exhibitions and resources that enhance awareness of and appreciation for the collection and health information resources of the National Library of Medicine. These exhibitions and supportive educational resources engage diverse audiences and explore a variety of topics in the history of medicine. 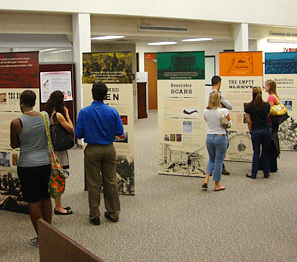 The National Library of Medicine provides traveling banner exhibitions free of charge to public, university, and medical libraries, as well as cultural centers across the country. Our permanent online exhibitions are augmented supportive educational resources to aid librarians and exhibition audiences to connect to the collection and health information resources of the National Library of Medicine.